Dara Johnson is a managing director and senior advisor at Fieldpoint Private, a private bank in Greenwich Connecticut. Dara’s career focuses on wealth advisory and investment management for the most distinguished clientele. As part of her role at Fieldpoint, she manages the endowments of several local charities. 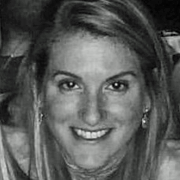 Ms. Johnson joined Fieldpoint Private in 2008 from Goldman Sachs Asset Management, where she was Vice President and Senior Product Manager, serving as a critical liaison between the firm’s investment management teams and individual and institutional clients, focusing on private equity, fundamental equity and hedge funds. Previously, Ms. Johnson was with Merrill Lynch Private Bank & Investment Group, where she advised institutional and high net worth individuals as a Private Wealth Advisor. Dara also devotes her time as a volunteer for various philanthropies. Dara currently serves on the Council of Lafayette Women, the Lafayette Career Services committee and the Lafayette Leadership Council. Dara also volunteers her time with One Mind, a national charity supporting brain research for mental health. Dara lives in Old Greenwich with her husband, David and two young sons. Dara graduated from Lafayette College in 1997 with a degree in Economics and Business.